The petition filed against Minister Rishad Bathiudeen, seeking the prohibition of deforestation at Vilaththukulam forest reserve in Wilpattu National Park, has been scheduled to be heard on June 28th. The petition was taken up before Court of Appeal Judge Arjuna Obeysekara today (22). The fourth respondent of the petition Minister Rishad Bathiudeen is continuously clearing this forest reserve, Attorney Nagananda said presenting submissions before the court. Heeding Attorney Nagananda’s request to set a date to hear the petition soon, CA Judge Obeysekara ordered to take up the petition on June 28th. The petition was filed by Environmentalist Malinda Seneviratne and Attorney Nagananda Kodituwakku. 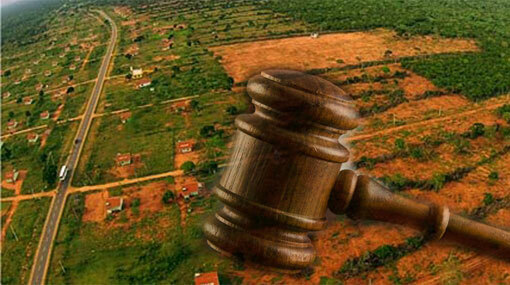 The petitioners have stated that the unauthorized constructions at the forest reserve have caused massive environmental impact and seek a court order preventing the deforestation and unauthorized constructions in Wilpattu National Park.